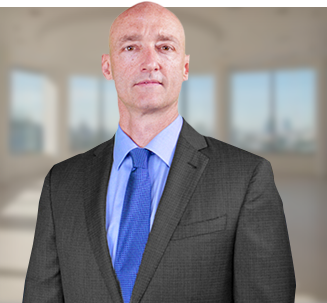 Michael D. Sechrest is widely recognized by both his clients and the legal profession as a highly skilled and successful expert litigator. Focused on complex, high-value, multi-party lawsuits, Mr. Sechrest has recovered tens of millions of dollars in damages for his clients. He has a solid record of excellence and applies his dedication, experience, and superior legal skills to every case he pursues. Mr. Sechrest graduated with honors from the University of Florida in 1995 with a difficult dual major in Pre-law and Criminology. He received a J.D. from the University of Florida, Frederic G. Levin College of Law in 1998. Since graduating, he has returned to the University of Florida as a guest lecturer on legal issues in construction. He also serves as an arbitrator on a multi-arbitrator panel for complex business disputes. Admitted to the Florida Bar in 1998, Mr. Sechrest has had an illustrious legal career, exemplified by numerous awards and certifications. He is a member of the Florida Bar Construction Law Committee, the Florida Bar Trial Lawyer’s Section, and the United States District Court for the Northern, Middle, and Southern Districts of Florida. In 2005, he became Board Certified in the area of Construction Law, earning him the right to use the designation of “specialist” or “expert” in that legal area. In 2014, Mr. Sechrest achieved the additional distinction of becoming a Florida Board Certified Civil Trial Expert. The Florida Bar’s certification program is recognized as a leader among the state programs. Only 1% of lawyers in Florida are board certified in two areas. Mr. Sechrest and the law firm received the Chief Justice’s Law Firm Commendation Award for Pro Bono Service in 2012. Mr. Sechrest then served as a committee member for the Chief Justice Awards Selection Committee in 2013. Mr. Sechrest has three times been recognized by Super Lawyers, a rating service of outstanding lawyers who have achieved a high degree of peer recognition and professional achievement. He was named a Super Lawyer in 2012 for personal injury and construction law, and in 2013 and 2014 for products liability and construction. No more than 5% of a state’s attorneys are named to Super Lawyers. Avvo, an online website that provides information and ratings about attorneys that reflect the attorney's experience and professional achievements, has given Mr. Sechrest a “Superb” rating of 9.9 out of 10. For the past 3 years, the Wall Street Journal has named Mr. Sechrest as a Top Lawyer in Orlando and in Florida. Mr. Sechrest has represented clients in the areas of business/construction litigation, personal injury, products liability, wrongful death, and medical malpractice. His clients include injured plaintiffs, contractors, subcontractors, architects, business owners, engineers, suppliers, sureties, and lenders. He has litigated against various cities and counties within Florida, the State of Florida, and the U.S. Federal Government. In addition, he has battled against numerous insurance companies including Allstate, Nationwide, MetLife, Geico, Hartford Insurance, Berkshire Hathaway Insurance, State Farm, Liberty Mutual, Progressive, CNA Insurance, Cincinnati Insurance, Travelers, USAA Group, and Zurich Insurance. He has also taken on large corporations and institutions including Wal-Mart, BP Oil, Goldman Sachs, CVS, Publix Supermarkets, Target, Shands Hospitals, and the University of Florida. In addition, he handles OSHA proceedings, bid protests, and federal and bankruptcy claims involving construction. a successful pro bono trial on behalf of a mentally and physically disabled single father for unfair and deceptive trade by unlicensed contractors. Mr. Sechrest clearly is not afraid to take on large and powerful defendants. His professional successes and commendations speak for themselves. Call Michael Sechrest and the firm of Warner, Sechrest, & Butts, P.A. today for a confidential consultation. We look forward to providing you with superior legal representation.